As the saying goes, “time is money.” Our lives are measured and shaped by both. This clock is a representation of time, visualized as a representation of money. 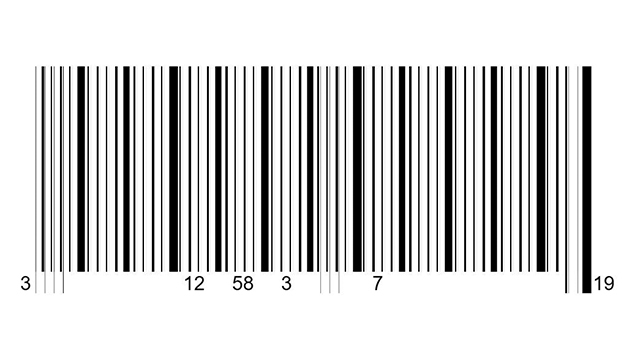 We start with the imagery of the barcode – a data visualization itself created in the 1950s as a way to make data about objects readable by machines. It has since become associated with money and consumer transactions in global areas with formal economies, with the “Universal Product Code” system used to automate supermarket checkout systems. On the one hand, this clock challenges the assumption that a barcode is only for machines to read and understand. The spaces and widths of lines do not represent data about an object on a store shelf, but rather hours, seconds, and minutes. On the other hand, it also challenges humans to rethink how time is read, what it means, how it is commodified – and provokes us to question how we may think similarly to or differently from machines. Completed during “Transforming Data” elective in Media Studies, taught by Jon Thirkield at The New School.